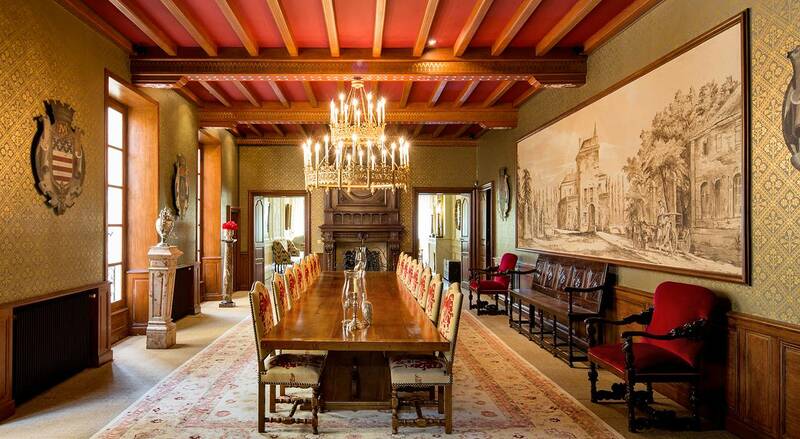 The Bernard Magrez Chateaux provide a refined atmosphere to hold all your events, whether they are formal, festive or private. 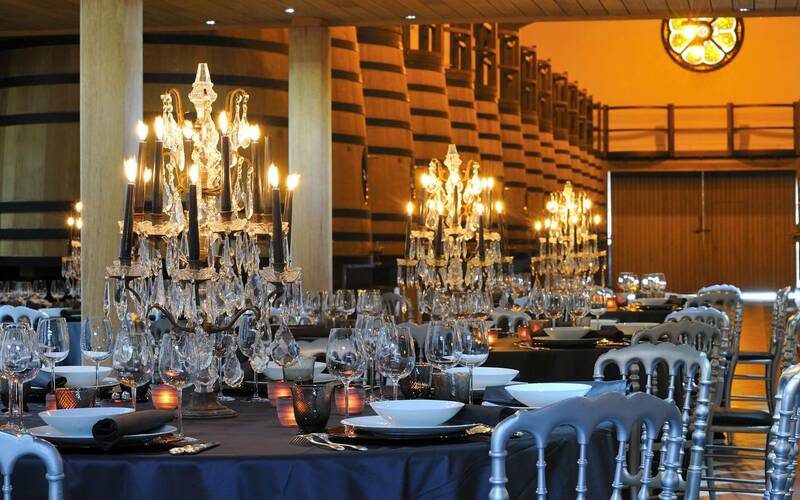 Cocktail receptions, meals, weddings, meetings or product launches can also be held there, in the unique atmosphere of carefully tended residences and venues nestled within gardens and vineyards. 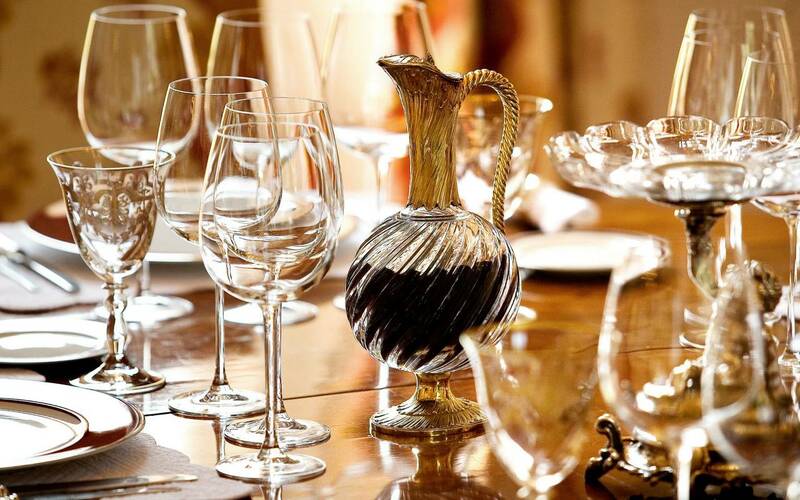 Welcome your guests into absolute refinement. 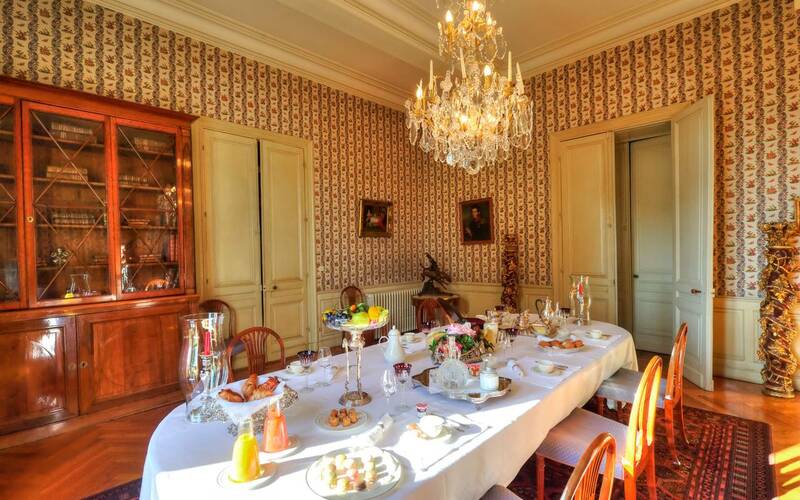 Seven reception rooms can accommodate from 2 to 250 guests. 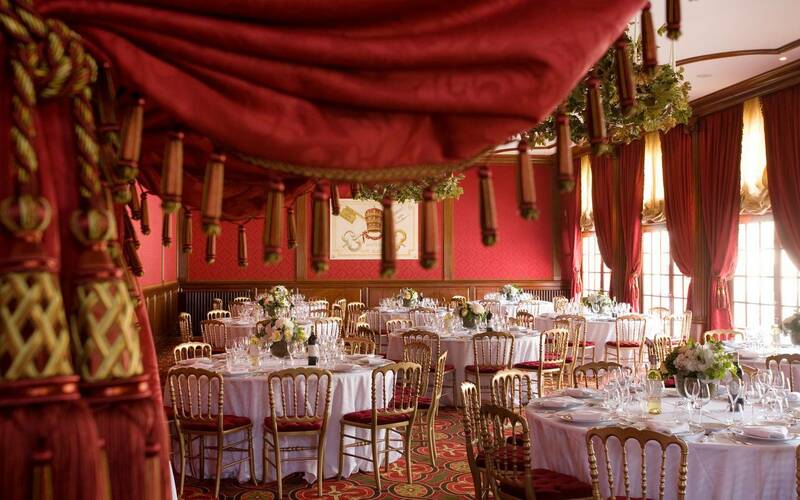 With its majestic red and gold details, the Salle de l'Orangeraie exudes a regal atmosphere and is bathed in light. 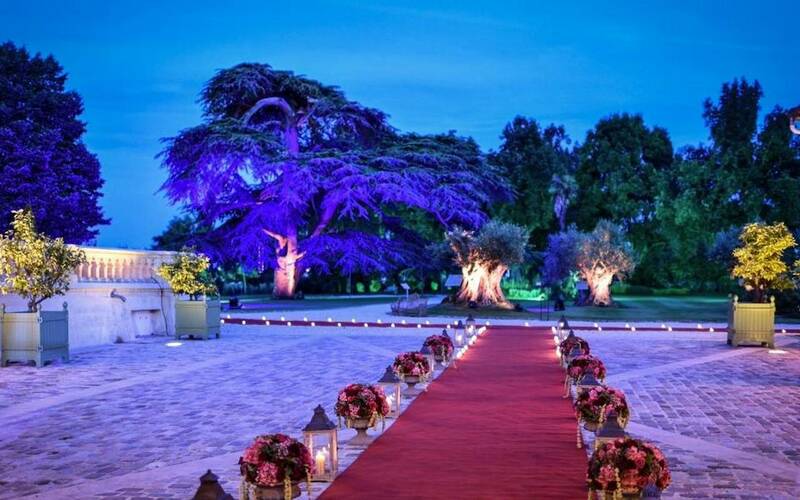 Looking out over the whole estate, it brings new enjoyment to conferences, cocktail receptions and weddings, in an atmosphere steeped in history. 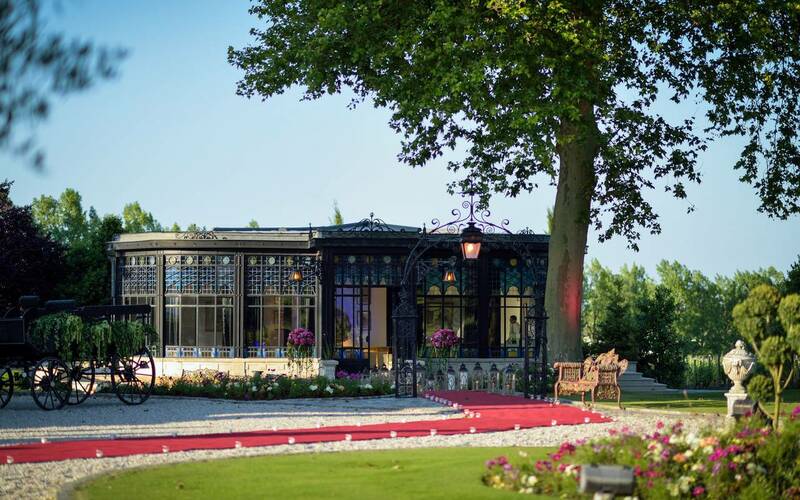 Standing proudly between the vineyards and the Chateau, this delicate glass pavilion built by Gustave Eiffel is the most select location for any meal, cocktail reception or meeting. 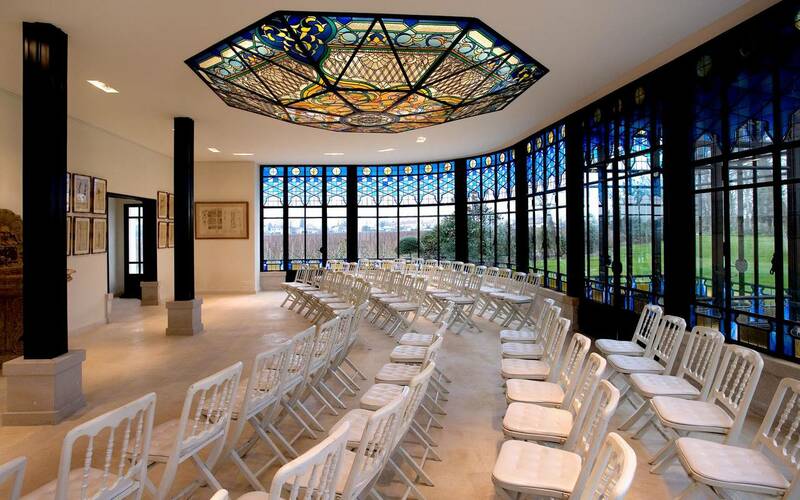 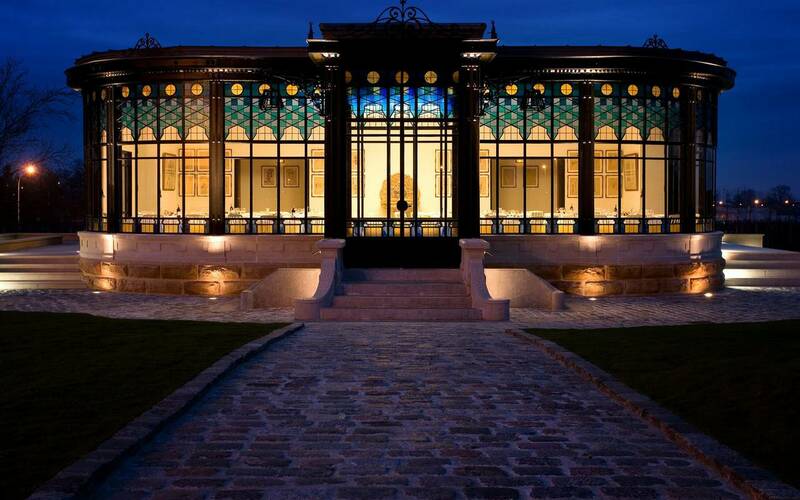 Surrounded by an exceptional landscape of vineyards, your guests will be able to enjoy the effects of the waning daylight and the magic of night-time illuminations on the lacelike stained glass. 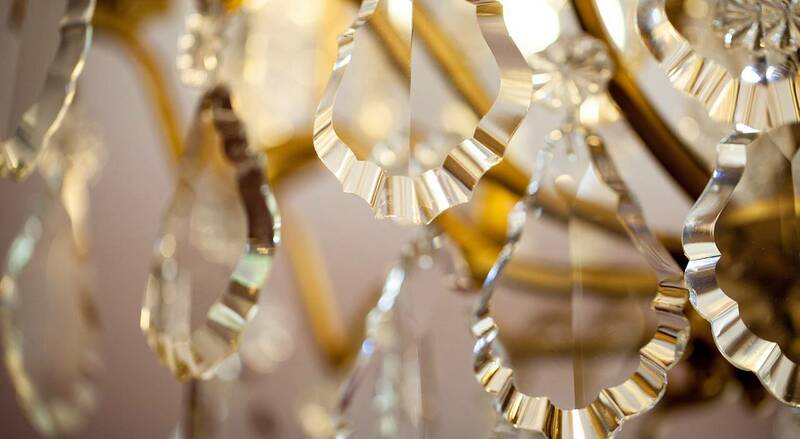 The captivating and other-worldly environment of the vat room is perfect for guests seeking character and authenticity. 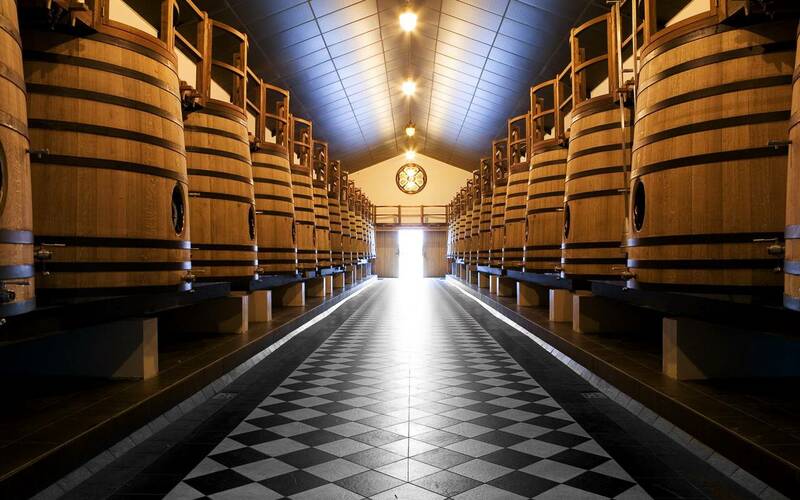 The smell of oak mingles with the aromas of the Grands Crus, awakening the senses and appetites of your guests. 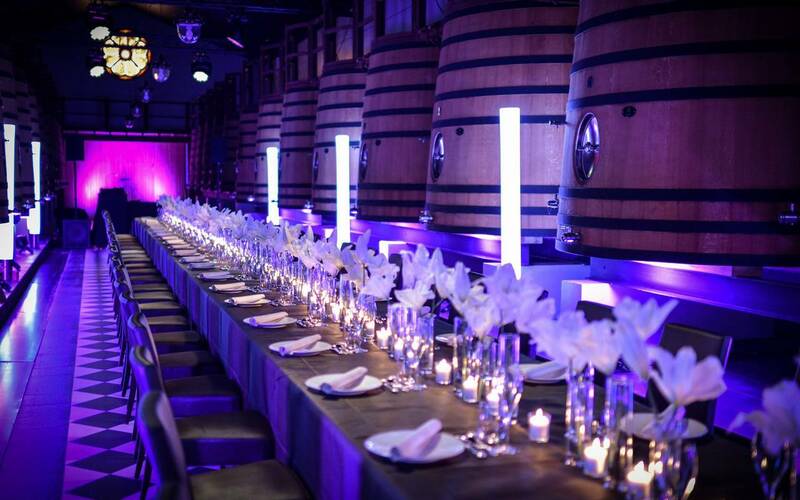 Elegant tables are set up alongside the rows of immense vats in honour of refined dining experiences and unique cocktail receptions. 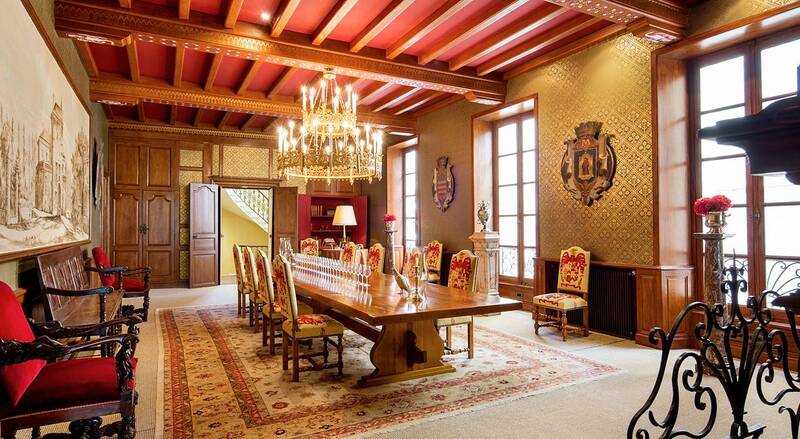 This room encapsulates our expertise, excellence and ancestral traditions. 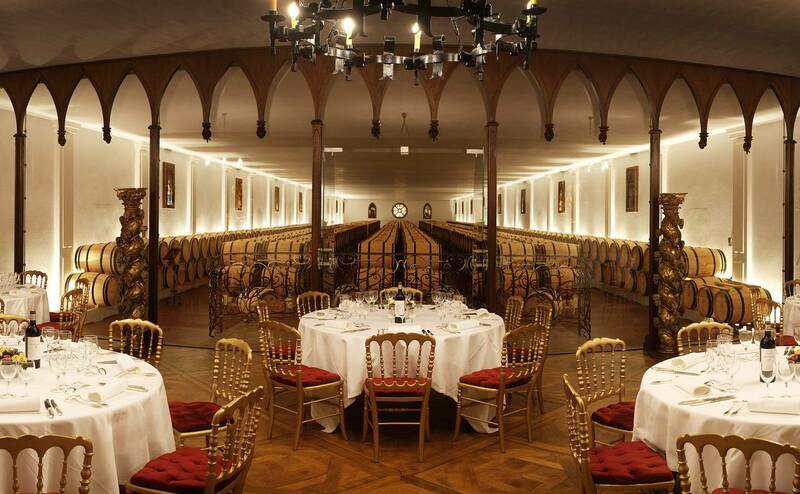 Like a treasure trove, the endless rows of casks in this wine storehouse house Bernard Magrez's Bordeaux gems. 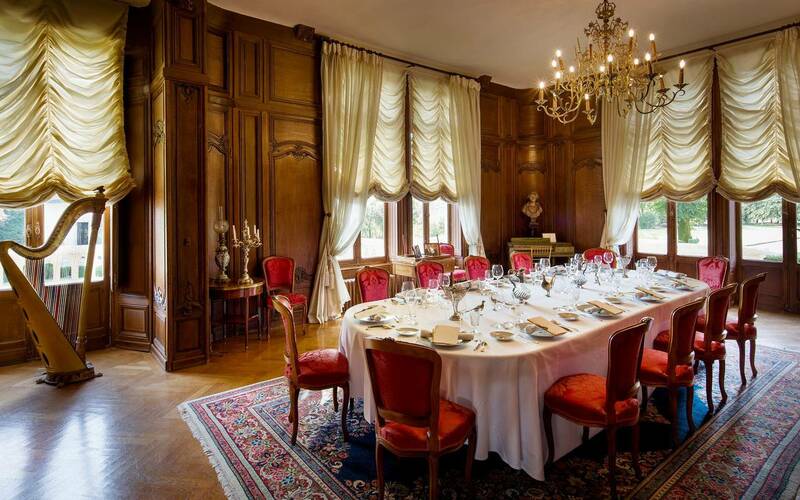 Prestigious dinners or board meetings are hosted in this splendid wood-panelled room in the style of Louis XV, which boasts a collection of Bernard Magrez's finest crus and a few of his most precious musical instruments. 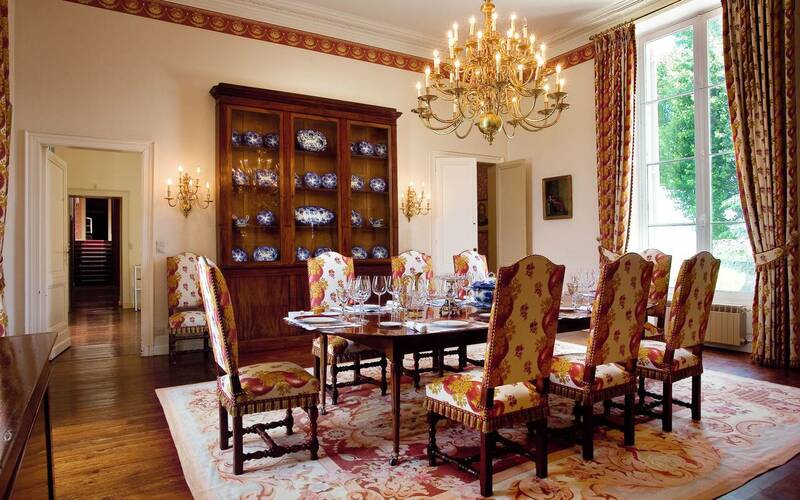 This elegant and private dining room has retained its 18th-century charm. 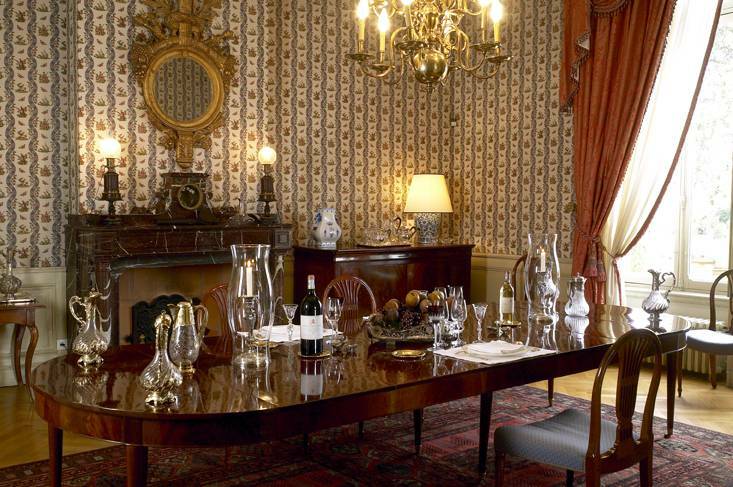 Both warm and elegant, this timeless space is perfect for a cocktail reception, a meal with special guests or when you have something to celebrate. 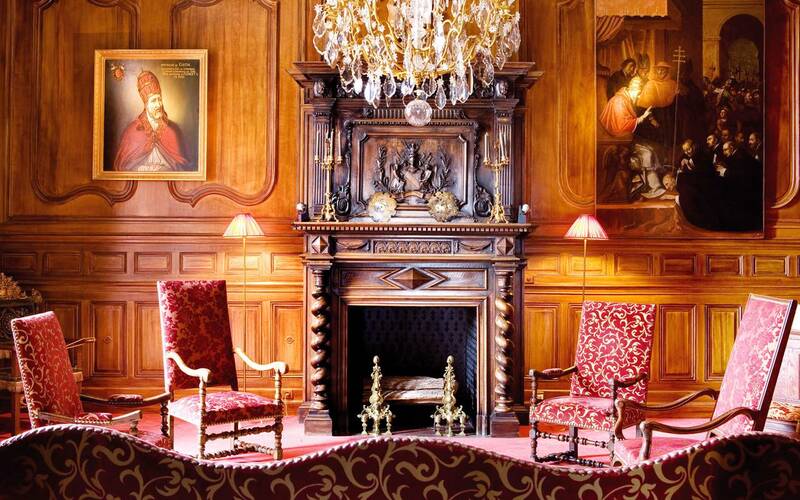 This "Popes' lounge" is a highlight of the Chateau, embodying the riches of an extraordinary past. 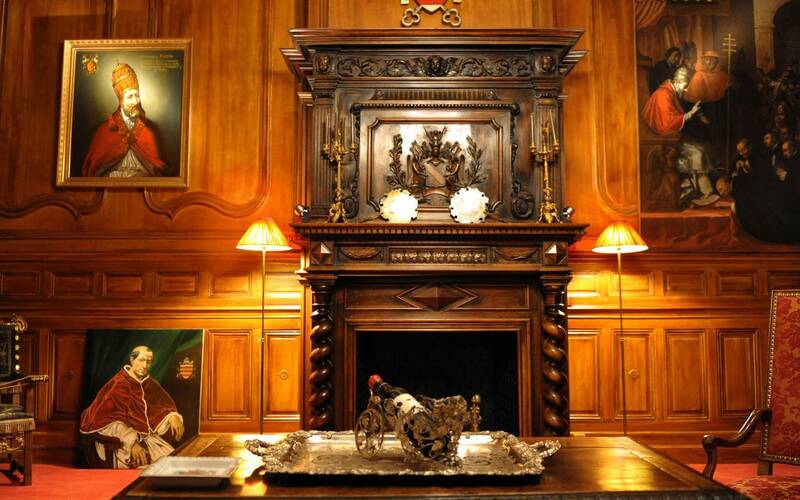 Ancient portraits, expertly crafted wood panelling and precious objects create a highly distinguished atmosphere. 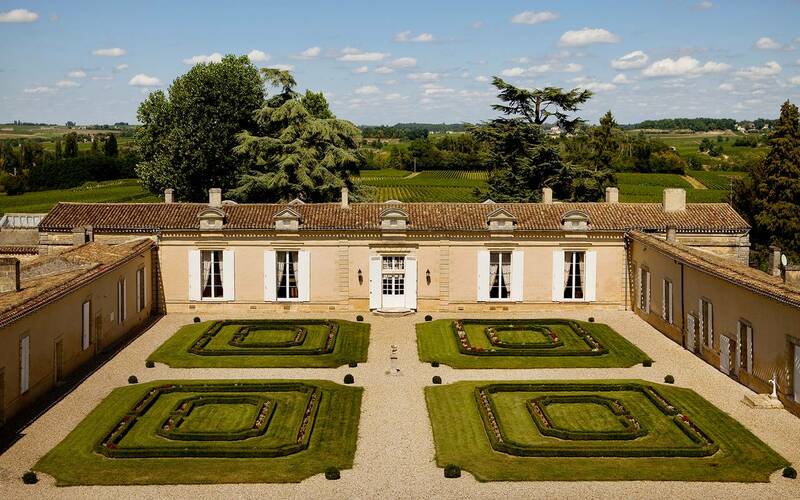 Just 3km from the village of Saint-Émilion, surrounded by vineyards as far as the eye can see, Château Fombrauge is steeped in history and makes gathering together an enchanting experience. 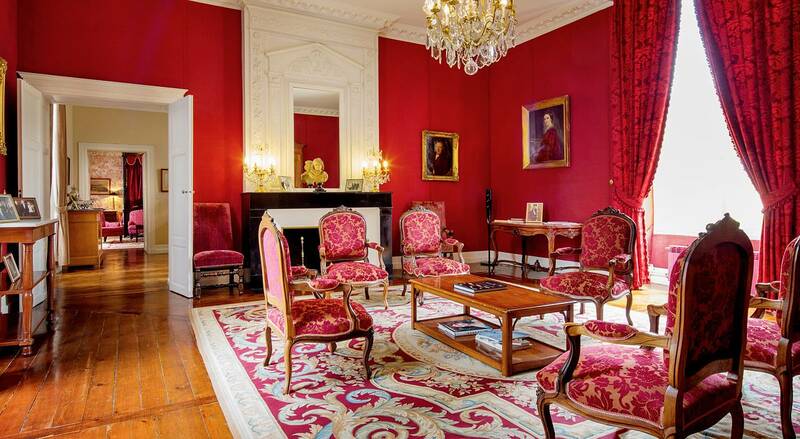 Three reception rooms can accommodate from 2 to 180 guests. 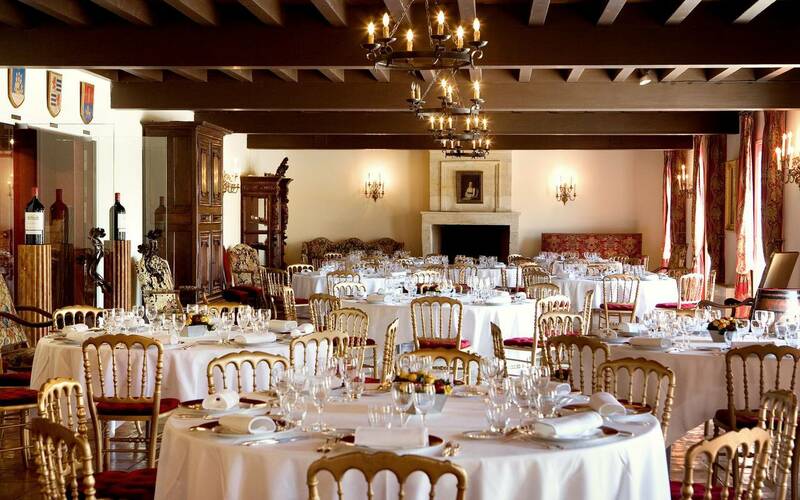 Representing the encounter between ancestral recollections and French elegance, the reception room boasts an outstanding atmosphere. 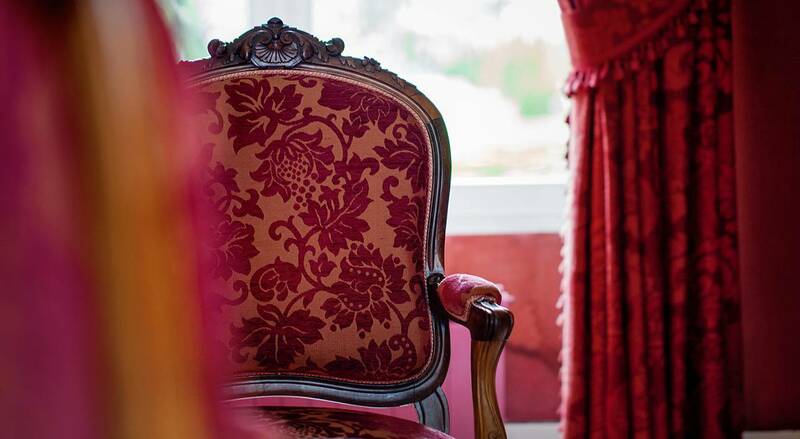 The authentic character of the venue brings solemn dignity to weddings, banquets and conferences. 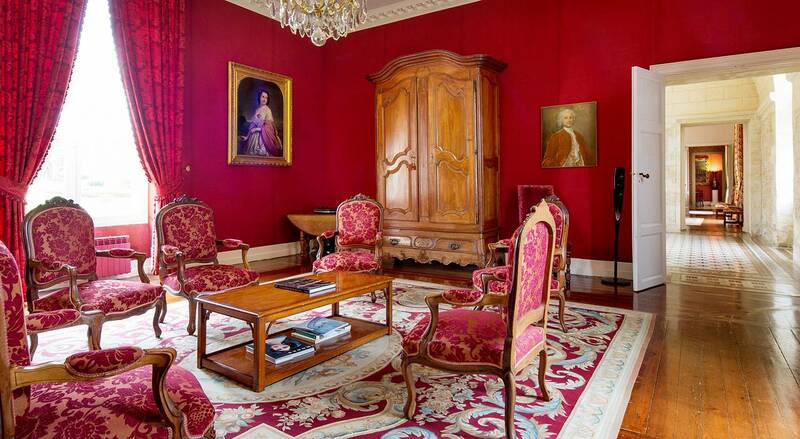 Emblematic of Château Fombrauge, this beautiful red lounge combines aristocratic distinction with the aura of history. 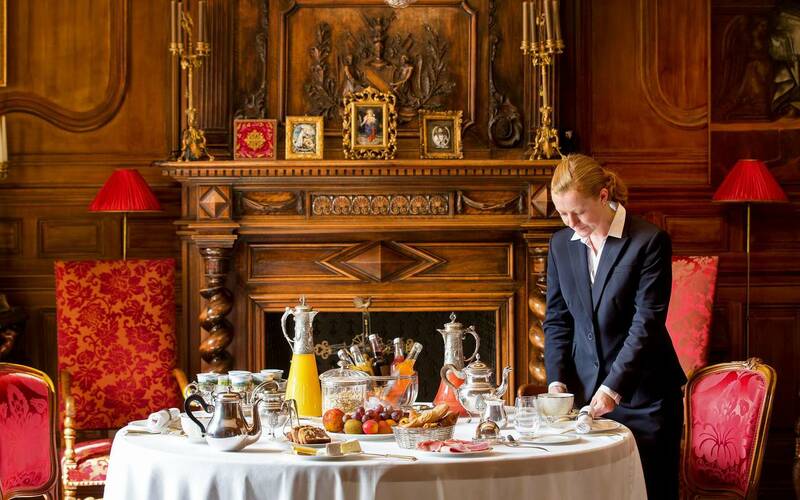 It is the ideal venue for the most private of meetings. 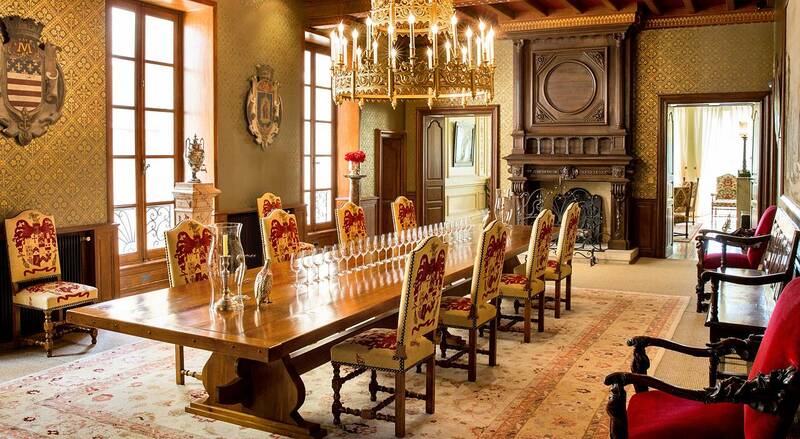 Welcoming and bathed in daylight from all sides, the dining room in the old charterhouse opens out onto the Chateau's gardens and vineyards. 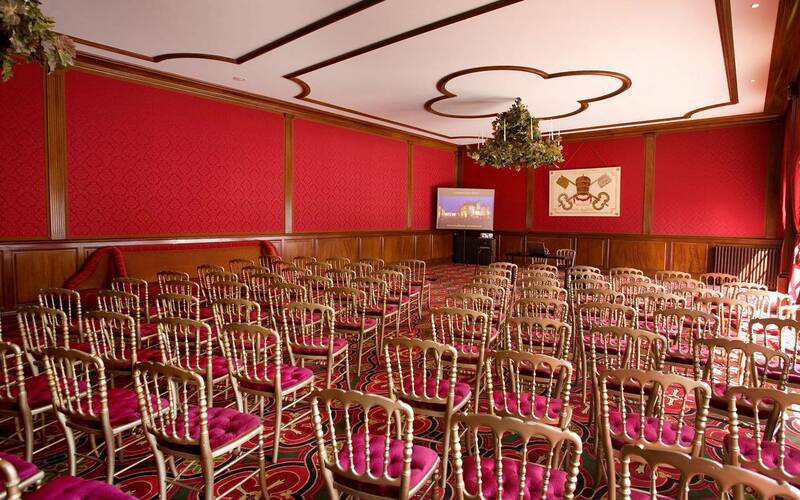 In this enchanting setting, our sumptuous rooms are available for you to host your small events. 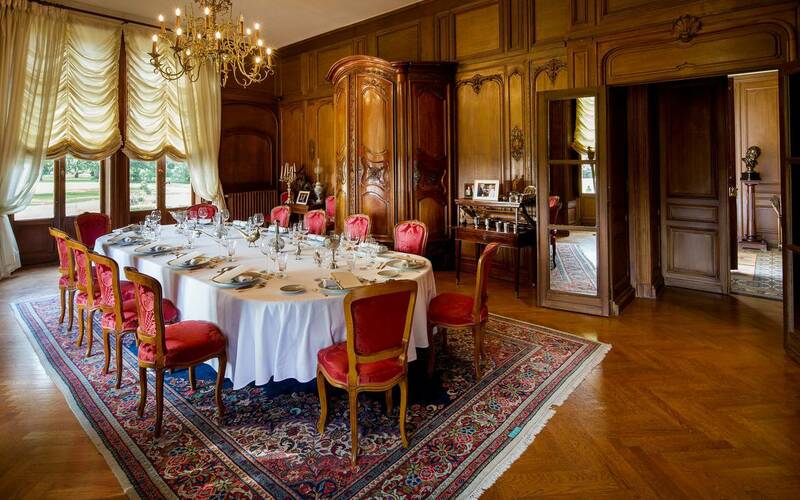 Echoing its medieval past, the beautiful dining room is steeped in the Chateau's serenity and charm. 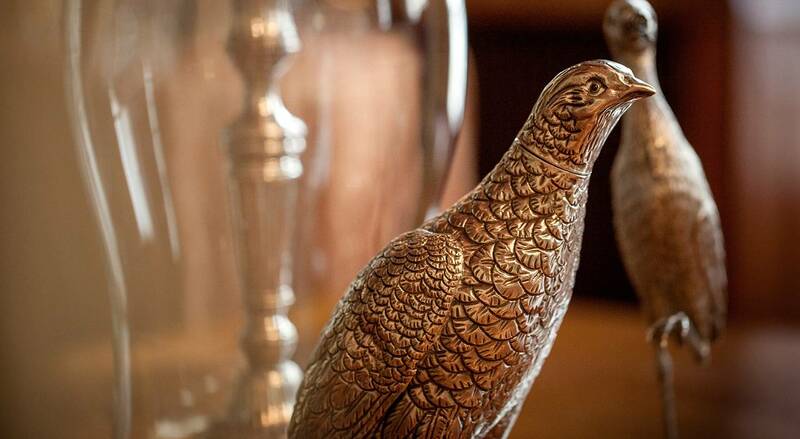 Whether used for quiet reflection during an important meeting, or given over to the refined enjoyment of a meal with employees or special friends, it is perfect for use by small groups. 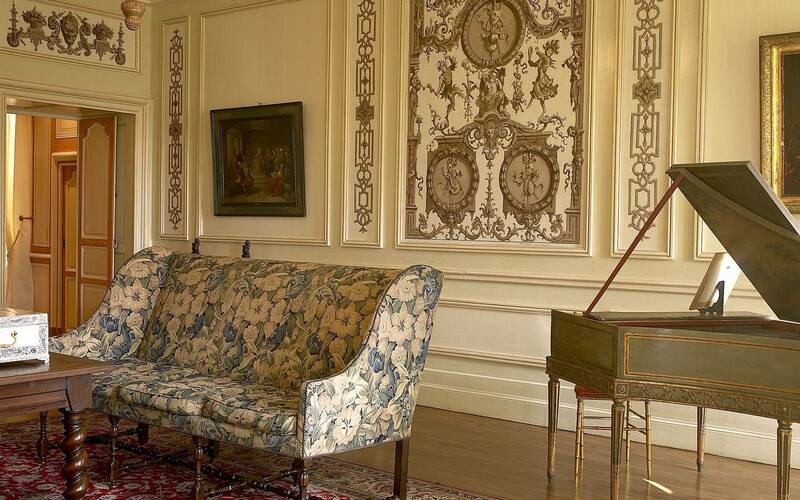 Just off the dining room, this characterful music room comes with its own medieval-sounding piano and can accommodate your cocktail receptions and tastings in an authentic setting.